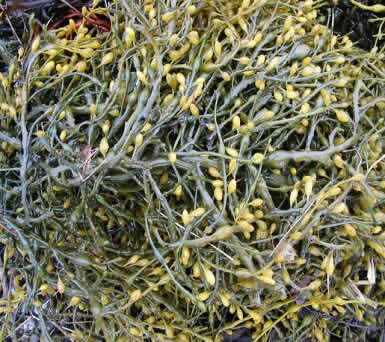 A Natural Renewable Harvest of the Sea, Seaweed ! 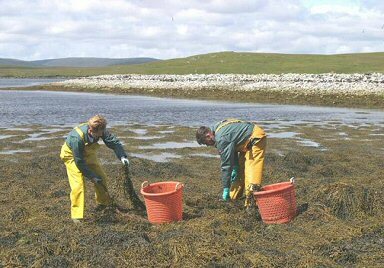 From the cold clear, unpolluted waters surrounding the Shetland Isles our seaweed - Ascophyllum nodosum -is harvested by hand at low tide. The harvesters, using a very sharp knife, ensure at least 6” of the stalk is left to regenerate, growing back stronger than ever. Collected in nets or buckets, it’s moved a few hundred yards to the drying sheds. 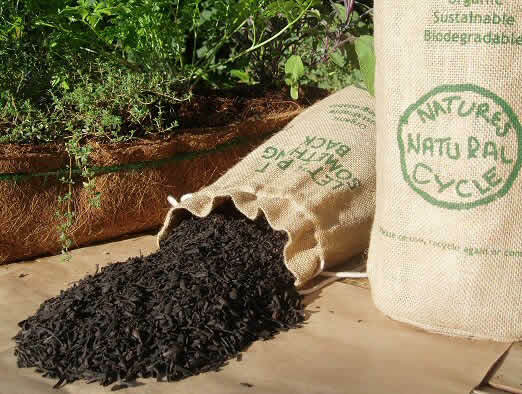 Simply dried and bagged it then begins the journey to your garden to start that wonderful ‘Natural Cycle’ thing again. Can anything be more natural, and sustainable. A whole world of fresh Atlantic breezes and crystal clear seas is released when you untie our bag. Think I’m being silly - just try it! Scottish Natural Heritage monitor the entire process, but the friendly, organic farming family who harvest this natural bounty are passionate about the environment. They do not need any encouragement to ensure that the Shetland coast is protected, and natures natural regeneration just goes on and on in a natural cycle of renewal. They never allow any waste. If, very rarely, any seaweed is left, they use it on their own fields, or let their really cosseted sheep and cattle enjoy it ! The seaweed pellets can be mixed with your compost heap, spread directly around established plants, added to the planting hole when planting out shrubs, or scattered over the lawn to produce a deep, lush, verdant green. 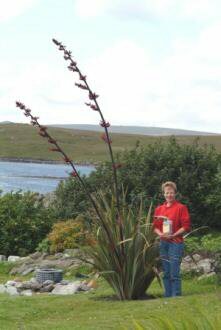 It enhances the soil so naturally that nature often needs no other help, even conjuring wonderful blooms in the beautiful, but sometimes very rugged Shetland environment. Look at this flax - grown on these age old islands where the weather is not always quite so sunny ! 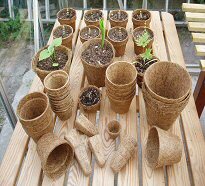 If you really want to give your plants and vegetables a treat, mix in some of natures natural Neem and Coir with the compost too. Mixing the hot, dry plains of India and the uplands of Sri Lanka, with the wind hewn, hardy Shetlands, what a magical combination ! what to do - so below may vary it little from harvest to harvest. it costs us a lot more!